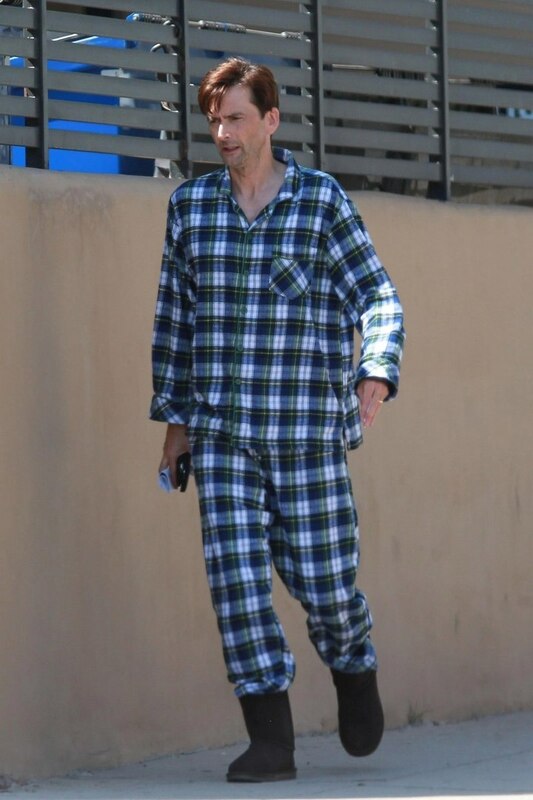 David Tennant starred in Camping for HBO which was filmed in Los Angeles between March and June 2018. Camping is an eight episode comedy from Girls duo Lena Dunham and Jenni Konner and is based on the British series of the same name. Jennifer Garner played Kathryn in the limited series. The series was written and executive produced by Dunham and Konner and revolves around Kathryn. David Tennant portrays Walt who is Kathryn's obedient husband and loving father. He is the reliable lynchpin of his male social group but below all that reality lurks a subtle but growing discontent about what he's just signed up for. The comedy kicked off on Walt's 45th birthday which was supposed to be a delightful weekend back to nature at least according to his obsessively organized and aggressively controlling wife Kathryn. But when the camping trip gathers Kathryn's meek sister, her holier-than-thou ex-best friend and a free-spirited tagalong in one place, it becomes a weekend of tested marriages and woman-on-woman crime that won't soon be forgotten. The eight half hour episodes premiered on Sunday 14th October 2018 on HBO in the US and in Canada. It was also shown on Sky Atlantic in the UK from Thursday 31st January 2019, as well as OCS City in France, HBO in Spain, HBO Nordic in Scandinavia and on HBO in Poland, plus in Israel, Latin America, New Zealand and Australia. The read-through for Camping was on Monday 19th March 2018 and filming wrapped on Thursday 21st June. Camping was released on DVD in the US on Tuesday 26th March 2019. 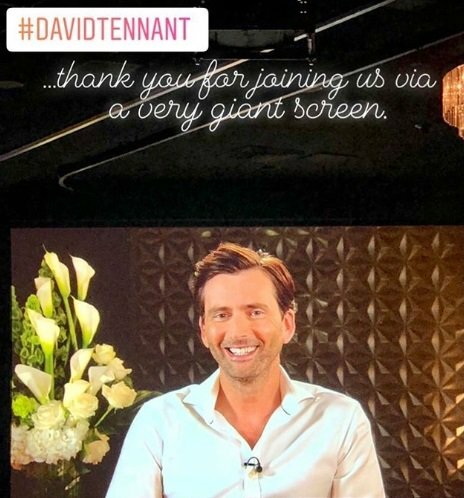 On Tuesday 9th October 2018 David Tennant was a guest on BUILD Series in New York City, NY to promote Camping. On Wednesday 10th October 2018 David Tennant attended the official premiere of Camping in Los Angeles. The third and fourth episodes of Camping have their UK premiere tonight. The start date has been announced for Camping in the UK: Thursday 31st January. Forbes reports that Camping will be streamed on Now TV in the UK from Thursday 31st January. Camping starts broadcast in Germany tonight. The station Sky Atlantic will show two episodes tonight starting at 9.15pm. 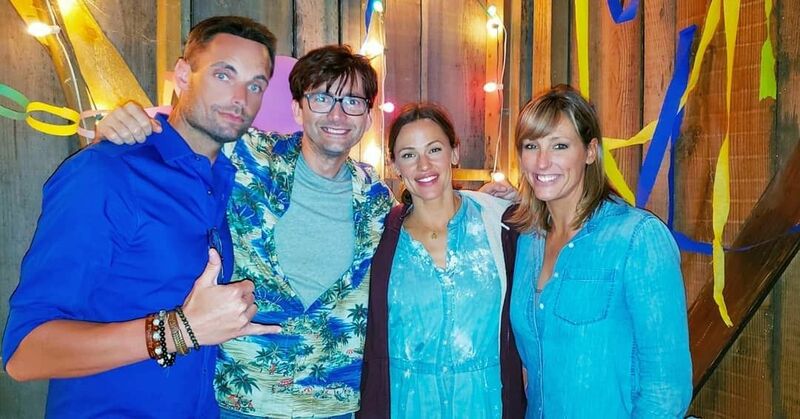 Two promo photos of David Tennant from episode 7 (Birthday Party Part One) of Camping have been posted online here and here. The full 4 minute video of Juliette Lewis and the cast of Camping singing Tell It To My Heart has been posted online. The third episode of Camping has its premiere in Latin America today. 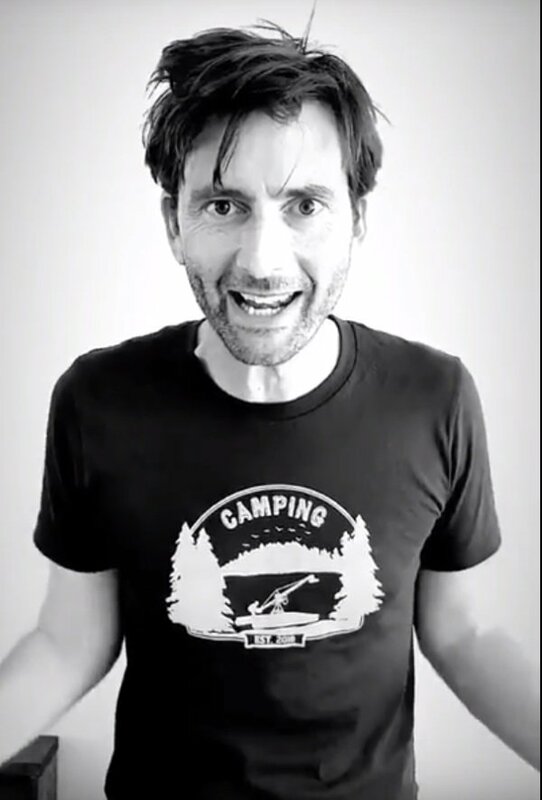 A cover by Juliette Lewis of Tell It To My Heart will feature the cast of Camping (including David Tennant) and will be released on Monday. Camping starts broadcast tonight in Latin America. A preview video of episode 5 of Camping (which airs in the US next Sunday) has been posted online. A new video interview with David Tennant by Popcorn has been posted online. Camping premieres in the US and Canada tonight. GQ has a light-hearted interview with David Tennant, Brett Gelman and Arturo Del Puerto about Camping. 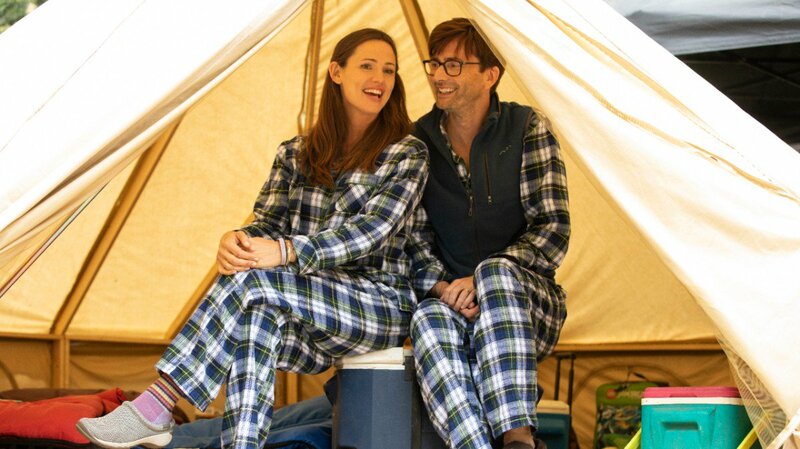 Entertainment Weekly has a new interview with David Tennant and Jennifer Garner about Camping. A video interview with David Tennant from Good Morning America about Camping has been posted to YouTube. Videos of David Tennant's interview on BUILD Series today. The videos should play worldwide. A new funny promo clip of David Tennant for Camping has been posted online. 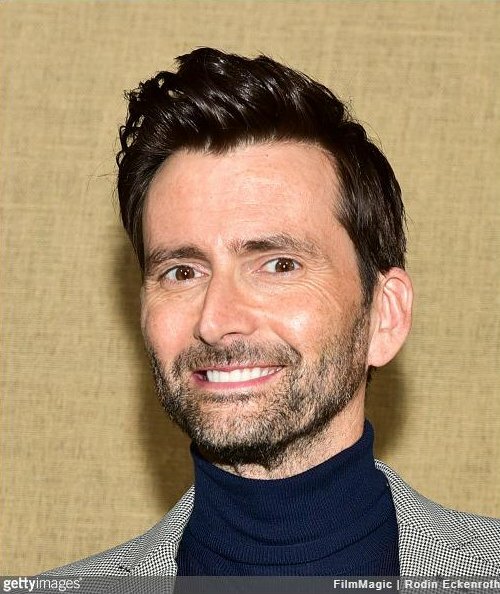 David Tennant is a guest at BUILD Series and at PaleyFest in New York today. David's BUILD Series interview starts at 3pm (8pm in the UK) and will last half an hour. It will be streamed online. David will also appear at PaleyFest at 6.30pm today. David Tennant was interviewed on Entertainment Weekly Radio in the US this morning to promote Camping. However the only part of the interview which has made it online so far is about him saying how much he enjoyed Jodie Whittaker's first episode of Doctor Who last night. Today there is an advance screening of Camping in the REI flagship store in Seattle. Video of the cast (including David Tennant) and writers talking about Camping has been posted online. There will be advance screenings of Camping in REI flagship stores in Seattle on Monday 8th October, in Denver on Friday 12th October and in Washington, DC on Tuesday 16th October. BrainDamaged reports that the station OCS will broadcast Camping in France in October. The first clip of David Tennant in Camping has been posted to YouTube. 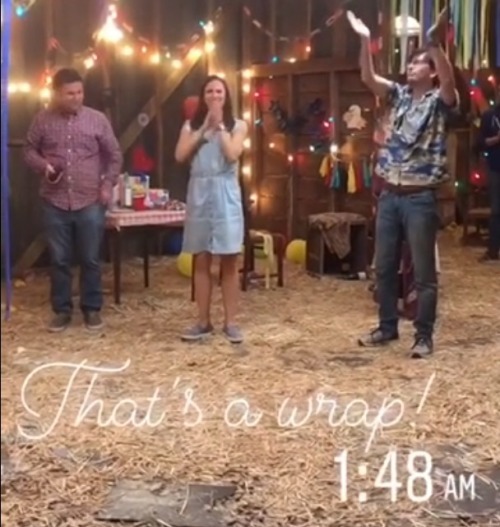 Filming on Camping finished late on Thursday in the Los Angeles area. 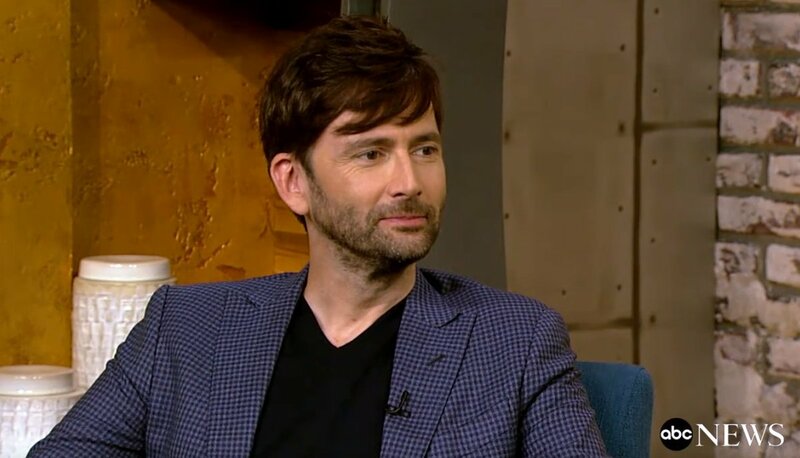 A short clip of David Tennant's season wrap was posted to Tumblr. Yesterday was the final table read for Camping. (Link to the post). MP3s, videos and photos of David Tennant's interview broadcast on Magic Radio this morning. A photo of David Tennant at the Camping read-through on Monday has been posted to Instagram.